Murphy Models 071 - New, detailed pre-production photos added! Yes it is a great model and I am happy now that I have a real 071. I got 073 yesterday and the factory weathering is very nice indeed. Well pleased with it. If I ever get 088 I will re number it to 071. I like to have my class leaders in the livery they first entered service with. It's an OCD thing. The shade of orange is spot on for the as delivered loco being a more tan looking. The other Super Train model is in the color that they were repainted with. Huge credit to MM for that, and it looks great. Here is a photo of 086,I've weathered the bogies with those excellent weathering powders which really makes the loco even more impressive. The SA was to do with locos that could work air braked trains. For when the Mk3s just entered service. The S was to indicate what locos had the CAWS fitted and the A was for what locos had their air brakes commissioned. The SA started to appear in the early to mid '80s and ended with the IR livery in '87. Just to say I got 12 locos,they are the best 073 well what can I say,paddy thank you. Only found out recently myself. I found a load of photos online from the 70s and 80s and the SA thing kept bugging me. The fact that they were only in the 80s photos and not earlier made it more of a mystery to me. Another pic of all the liveries that came out this week from the Model Shop Belfast. 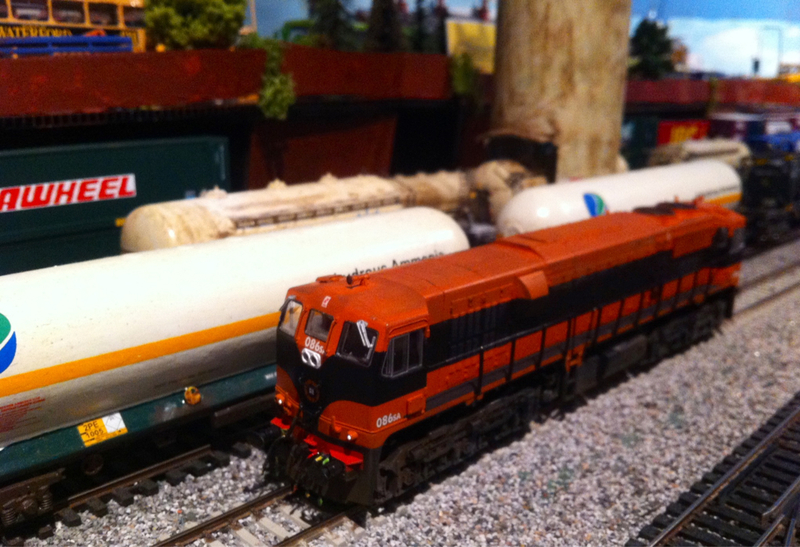 We also had the SA suffix on the models of 161 and 190, both in Supertain livery. 12 locos Mark, that's impressive. The latest batch look great in the more familiar orange shades. 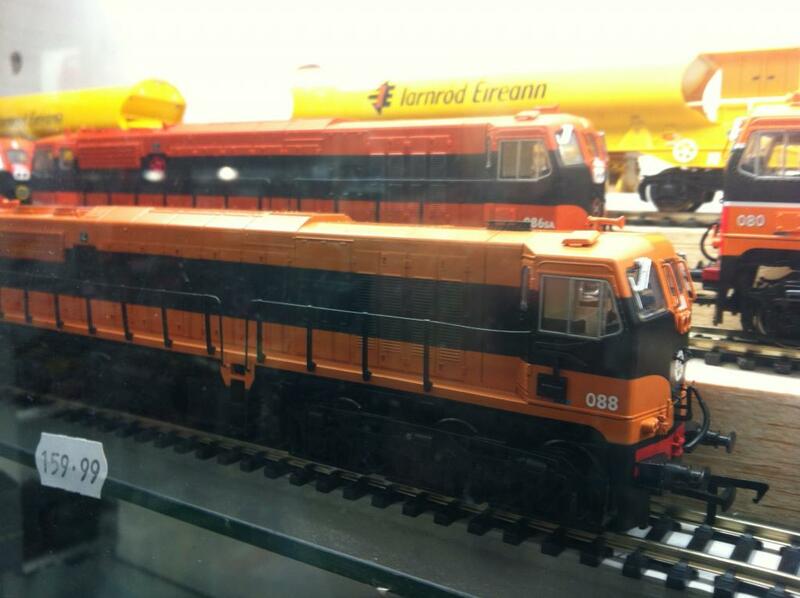 KK that pic really shows the different shades of orange livery on 086 and 088. Anyone know why 078 in IE small logo livery was released with the ex-snatcher panels on the side of the cabs in black rather than orange, where as even 080 in the older IR livery has the ex-snatcher panels painted in orange? I presumed all along that this was a pre-production issue that would have been modified for the production version. Did 078 ever run with these panels painted black? Just curious were the side windows in the 112 the same as the model below? Yes they were when the loco was on loan to IE. There are some that say there were only three sliding windows done. It is possible that all four were done and the loco also received the LED light clusters. I believe they were salvaged from 151. Thanks for the reply,it looks weird but nice at the same time. I have never seen any pictures of 078 in any livery with the panels on the cab sides black. It might be that a photo of the loco was used as a guide for the as modelled livery that may have been taken in poor light or at an angle that make's the panels look black. You're welcome, it does give the model a nice bit of character. Thanks Rich. It's a cracking model, but have to say am disappointed with the black catcher panels as they totally detract from an otherwise excellent model. It is a bit strange looking as you say Iarnrod. In the end they are a fantastic model and it can be corrected. Personally I think the panels on the models that have them are a little well nourished looking, but it isn't a deal breaker. Just fitted a Zimo soundchip and Bass Reflex speaker to my 073 and 086 - magic combination! The weathering on 073 is very realistic - probably the best model in my collection. Snatcher panels were never black, unless they were within the area of the mid-body black band already. My own recollections are that they could get dirty or rusty looking at times, which could result in a poorly defined, distant, or poorly lit photograph appearing to show it in a darker colour. Also, 071s with the original all-white CIE emblem on the ends, i.e. in the "as-delivered" livery, should be a very distinctly darker shade or "orange" - in fact, closer to a light browny tan colour; certainly not orange as such. 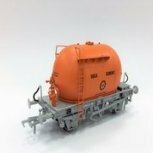 I haven't seen any of the new models yet but if i may make one small constructive remark - the photos of the models look more like the normal orange colour. John there is definitely a different shade of orange (or as you say browny tan color) on 088 when compared to 086 in the link of the photo to Model Shop Belfast with the latest released models in post 784. 088 is more tan than 086,to me 088 the better looking I took off head light sprayed it white took off snachers as well,I remember the 071s being more tan than orange. Paddy has done his best so give up complaining your not allowed to. Remember Sulzergate. Lets get the posse together and get the complainer sorted. Nice model PM if your reading this i am waiting on mine from Hattons. Picked my 086 up from Mr Bracken this evening and have to say it's a cracking model, the detail is just superb. I stuck in a decoder and it is now happily getting run in on my layout! wonderfully models,now I may get some myself. eam, what day are you at the show? concerning the tanishness of the first livery I found this picture on the internet, in my opinion original livery, snatchers already removed though. Well visible also the white roundel with the off-normal CIE letters and the difference in shade to the near Metrovicks. Perhaps rather for the ebaywatch section: Another snatcher anyone? I have to add its one of a fixed installation, not of a locomotive.